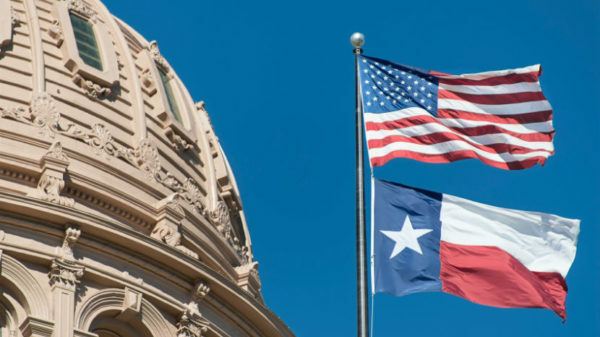 Although creating an adequate and equitable system of school finance is complex, the Texas Legislature and key political figures need to accept some basic facts and principles. First, money is important for improving the quality of our public schools. Research has clearly documented a consistent relationship between increases in per-pupil expenditures and increases in students’ short- and long-term outcomes. And the majority of high-performing public, charter and private schools spend their money on limiting class sizes and recruiting, developing and retaining high-quality teachers. Second, those who suggest additional funding will only support bloated bureaucracies do so not by citing evidence, but rather ideology. The majority of public education expenditures goes to paying the most important resource in any school — the teachers. The fact is that Texas public schools are already serving more students in a rapidly growing state with less funding. According to Texas Education Agency data, the state is spending 10.7 percent less per student than it was spending in 2010, after adjusting for inflation. Taxpayers are paying more in local property taxes, and revenues per student have increased substantially during the past decade, but not enough to make up for the decline in state funding for education. Third, Texas is a large and diverse state with more than 1,200 school districts. Each district is different in size, location, teacher labor market characteristics, and student diversity and need. These differences require a school finance system that is flexible and accounts for the different costs associated with providing a high-quality public education. In other words, economic and social context matters. A small rural district serving a low-income community with a high proportion of English-learner students will surely require a different set of resources to attract and retain high-quality teachers than a district elsewhere in the state. Texas’ divestment in public education, therefore, cannot be addressed through minor increases or short-term fixes. Investment must be long term, sustainable, and provide years of adequate and equitable funding so cohorts of students can move through the K-12 pipeline under the guidance of well-paid teachers, counselors and school leaders. All Texans regardless of political party need to recognize that public education is an investment in the community’s future. These investments are not just about what a child learns today, but about the future of our state to produce productive and engaged workers and neighbors. Finally, and perhaps most importantly, high-stakes accountability policies aimed at measuring student achievement through standardized test scores and school/district grading systems have failed in Texas for decades. In some cases, these policies led to cheating scandals that disproportionately harm the state’s most marginalized students. Accountability policies are cheap, superficial fixes that are a distraction from providing adequate and equitable funding. Under the new federal education law, the Every Student Succeeds Act, the state’s revised accountability plan focuses almost exclusively on test-based accountability. To move forward, state lawmakers ought to tap the $12 billion rainy day fund to provide additional funding to public education, because part of the reason that money exists is due to the persistent underfunding of Texas public schools. The state also needs to stop relying on rising property values to limit its investment into public education. The Legislature may consider, for example, passing legislation that requires the state to maintain its share of total funding as property tax revenues rise. For example, in California, state law requires the Legislature to allocate about 40 percent of the state general fund to K-12 schools and community colleges, which ensures a stable school funding environment as the state’s economy grows. Further consolidation of school districts should be considered throughout Texas to allow for a more efficient utilization of state and local tax dollars. All those engaged in the political efforts to improve Texas public schools need to find common ground in support of new investment. A well-funded system of public education attracts businesses, trains a high-quality workforce, supports the needs of children with disabilities, cares for students in need of mental health interventions, fosters more democratically engaged citizens, and cultivates a more tolerant and compassionate society. We, as Texans, must make a bold and sustained investment in public education. David S. Knight is the associate director of the Center for Education Research and Policy Studies and an assistant professor of educational leadership at The University of Texas at El Paso. A version of this op-ed appeared in the Houston Chronicle, Corpus Christi Caller Times, Waco Tribune Herald and the El Paso Times.